In recent years, France has steadily declined in terms of free press and free speech, a truth that stems from the country’s mixed record of expanding government control on the media, due largely to the conservative characteristics of its executive branch and of the country’s attempt to strive for a healthy existence of democratic principles in French society. Within the past decade, Reporters Without Borders has observed a monumental drop in France’s rank in the International Press Freedom Index, from No. 11 in 2002 to what the International Freedom for Expression Exchange (IFEX) labels a “disappointing 38th” in 2012. However, a slight shift upward in its ranking has been noticed in recent years, a change that seems coincidental with the exchange of presidential power from the Union for a Popular Movement (UMP) to the leftist Socialist Party in May of 2012. According to the Committee to Protect Journalists (CPJ), the newly elected President François Hollande has promised the people of France a new dynamic, different from the exceeding tension that overwhelmed Nicolas Sakorzy’s administration. The change, if any, remains gradual, mainly due to France’s internal conflict of pressing governmental control versus freedom of its press in a time where journalists’ confidentiality of sources has recently become an issue of great concern. Located on the mainland of Western Europe, France houses an estimated population of 63.5 million and is regarded as a highly developed country with one of the largest economies in the world. France rid itself of its monarchial government through a national revolution between 1789-1799, sparked largely by the American Revolution. During the 19th century the country was subject to differing governments, from the Napoleonic Empire to a monarchy once again, precariously resting on a provincial democratic government at the end of the century. World War I brought with it enormous casualties, an approximated 1.3 million French deaths occurred within the years 1914 and 1918. France has made a tremendous evolution since its occupation by the Nazi-sanctioned Vichy regime during the Second World War, which crippled the country’s economy, international status, and human capital. On Oct. 4, 1958, France adopted its current Constitution under the Fifth Republic and has since maintained a hybrid presidential-parliamentary governing system. Though The Declaration of the Rights of Man and of the Citizen of 1789 is not included within France’s constitution, it is cited in the Preamble as the country’s standard for citizens’ guaranteed rights. In Article 11 of the Declaration, freedom of speech for French citizens is established. There is a noted warning on misuse of that freedom, however, as the French government has exploited in its search for control. In Title V of the French Constitution, Article 34 evaluates the inherent political power possessed by the bicameral Parliament to create legislature on the freedoms of the citizens as well as of the press. The ambiguity in language of where the statutes could reside on the political spectrum has given French authorities the opportunity to increase regulation of these basic freedoms. The Fifth Republic is a constitutional democratic government that has recently held its presidential election with the pledge of change from the ever-growing stress of the past five years of UMP power. Whether this promise can be kept remains doubtful as various media outlets face lawsuits on issues such as defamation, libel, and incitement to hatred. After the Second World War widespread panic overwhelmed European countries, and in order to prevent a recurring genocide, various countries passed legislation that outlawed anti-Semitic language. France is included within this category of countries and has implemented laws attempting to restrain xenophobia. The Legal Project, an organization created to protect researchers who focus on terrorism, describes France’s Press Law of 1881 as a principal piece of legislation against hate speech. The most recent case on hate speech occurred in France during January 2013, a lawsuit between the social media site Twitter and the French Union of Jewish Students (UEFJ). In October of 2012, the UEFJ threatened to sue Twitter as a racially insulting hashtag, #UnBonJuif (translated to mean “a good Jew”) began to gain popularity on French Twitter streams. The UEFJ’s lawsuit demanded the identification of the individuals responsible for the anti-Semitic tweets. While Twitter did not concede to this request, the site did block most of the infamous hashtags from view. On Jan. 24, 2013, a French court ruled in favor of the Jewish student’s organization and ordered the social media site to turn in any information that might help identify the account holders responsible for the racist comments. Twitter was given fourteen days to hand over data to the UEFJ but did not concede. Because of Twitter’s non-compliance, the UEFJ in conjunction with French Jewish organization “J’Accuse” decided in mid-March of 2013 to file a criminal complaint against Twitter for 38 million Euros, the equivalent to $50 million U.S. dollars. Although the outcome of this case has not yet been decided, a very similar case was jointly filed by the UEFJ and LICRA, the International League Against Racism and anti-Semitism, in 2000 against American website Yahoo! Inc. Nazi memorabilia being auctioned on the Yahoo! site was said to violate Article R645-1 of French Penal Code and therefore considered a threat to public order. LICRA filed a civil complaint in French court with Judge Jean-Jacques Gomez and won, and the UEFJ is now relying on the same outcome with the Twitter dilemma. The Twitter case, and others like it, illustrates a pressing agenda of government suppression on the World Wide Web. France’s fight against Internet piracy has led to the creation of the HADOPI act, better know as the “Creation and Internet” law, an attempt to regulate the downloading of copyrighted material. The three-strikes legislative policy threatens to suspend citizens’ use of the Internet as the ultimate punishment; a fact that many free speech organizations say violates a basic freedom of individuals’ access to information. In an article written by Reporters Without Borders in 2009 France was added to the “Countries Under Surveillance” list by the organization for the first time. A passage within the article describes an additional French legislative act that was passed in February 2011 named Loppsi 2. In October of 2011, French Internet service providers were requested to block access to a website that showed photographs and videos of both police authorities arresting and taunting French citizens as well as police brutality against ethnic minorities. The French site Copwatch Nord Paris I-D-F was accused by law enforcement officials of inciting violence against police, because of this judges ordered the infamous website to be blocked. Journalist Eric Pfanner wrote an article in the Herald Tribune analyzing the aforementioned current event by comparing France’s civic freedoms to that of the United States’. Through a rationalization that expanding control equals protection, the Fifth Republic is increasingly limiting fundamental rights of its society. This is especially prominent within the country’s media. In spite of freedoms granted to the press through the Declaration of the Rights of Man, the French government has flexed its muscle in a battle against online media sources within recent years. 2010 was an extremely difficult year for journalists as multiple break-ins occurred in media offices such as Mediapart and Rue89, which were coincidentally covering the scandalous Bettencourt-Woerth Affair. In June 2010, a political crisis described by Vanity Fair as “Brooke Astor trial meets Watergate” shocked the free world as allegations were made that accused France’s richest woman of illegally donating money to preceding French President Nicolas Sarkozy. L’Oreal heiress Liliane Bettencourt was denounced of contributing 150,000 euros to Sarkozy’s 2007 presidential campaign, an amount that vastly exceeds the limit to individual campaign contributions (4,700 euros). Bettencourt was also accused of tremendous tax evasion through a Swiss bank account totaling 80 million Euros as well as through an island in Seychelles (neither was claimed on Bettencourt’s taxes). Information over the allegations was obtained through a former accountant of Bettencourt’s and through secret recordings taped by Bettencourt’s butler, Pascal Bonnefoy, between the heiress and her financial adviser. The International Barr Association’s Media Law and Freedom Expression Blog wrote an article where Edwy Plenel, the founder of independent news website, Mediapart, accused President Sarkozy of spying on journalists that “annoyed” him. Fear of anti-Semitism has existed throughout Europe since the end of World War II. The Press Law of 1881 punishes hate speech in French society, a law enacted to curb any type of racist or discriminatory speech. In cases involving American based companies such as Yahoo! Inc. and Twitter, the French legal system and the U.S. government differ in perspective. While France and the United States share a common political foundation, France skews its citizens’ right to speak freely. The French constitution promises its citizens freedom of speech and of the press, yet the government has radically increased its regulation as the country’s moral watchdog, deciding when certain speech or published articles violate the integrity of France. Both cases, LICRA v. Yahoo! (2000) and the ongoing Twitter case, highlight the conflicting ideologies between France and the United States; France exists as a much more limiting democratic state. French courts have ruled against hate speech while American judges have voiced that these cases would not have had legal standing in American courts. There is a troubling revelation, however, for both countries when defining freedoms guaranteed for the press. While the United States is viewed as “more free” than France in terms of free speech and free press, both are struggling to respect freedoms granted to the press through each country’s individual Constitution. The United States has adopted similar tactics to those of France, and with the outcry of protecting national security; both executive branches have undermined the freedom of journalists. There is much confusion on where France is headed with free press and free speech. The French administration is now lead by Hollande, a much more liberal president. There remains hope that France will become more progressive in its regulation of these basic freedoms. However, because of growing Internet censorship and restrictions on the press, attempting to predict what will happen with these issues seems difficult. Between the United States and France, the United States remains the freer of the two. The United States holds this advantage by constitutionally protecting hate speech as well as protecting speech that is critical of political leaders. France exists as a conflicted republic, but citizens are relying on the change of political tide to gradually define a freer society. [i] Van Kley, Dale. The French Idea of Freedom: The Old Regime and the Declaration of Rights of 1789. Stanford: Stanford University Press, 1994. Print. [ii] United Nations. World Intellectual Property Organization. France Constitution of October 4, 1958. Web. <http://www.wipo.int/wipolex/en/details.jsp?id=5560&gt;. [iii] “European Hate Speech Laws .” Legal Project . n. page. Print. <http://www.legal-project.org/issues/european-hate-speech-laws&gt;. [iv] “Countries Under Surveillance:France.” Reporters Without Borders. n. page. Web. 7 Apr. 2013. <http://en.rsf.org/surveillance-france,39715.html&gt;. [v] Pfanner, Eric. “Court Orders French Cop-Watching Site Blocked.” Herald Tribune. (2011): n. page. Web. 7 Apr. 2013. <http://www.heraldtribune.com/article/20111016/ZNYT05/110163018/-1/news04?p=1&tc=pg&tc=ar&gt;. [vi] Walton, Charles. Policing Public Opinion in the French Revolution: The culture of Calumny and the Problem of Free Speech. New York: Oxford University Press Inc, 2009. Print. [vii] “A threat to the French media landscape?.” Media Law and Freedom of Expression Blog. (2010): n. page. Web. 7 Apr. 2013. <http://ibamedialaw.wordpress.com/2010/11/19/a-threat-to-the-french-media-landscape/&gt;. [viii] “Attacks on the Press In 2012.” Committee to Protect Journalists. n. page. Print. <https://cpj.org/2013/02/attacks-on-the-press-in-2012-france.php&gt;. [ix] Lewis , Anthony. Freedom for The Thought That We Hate: A Biography Of The First Amendment. New York: Basic Books, 2007. Print. [x] Walton. Policing Public Opinion. This essay was last updated on April 30, 2012. 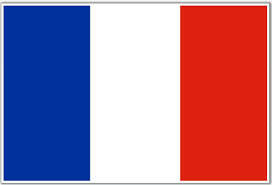 Image of the French flag is used created commons from Wikipedia.